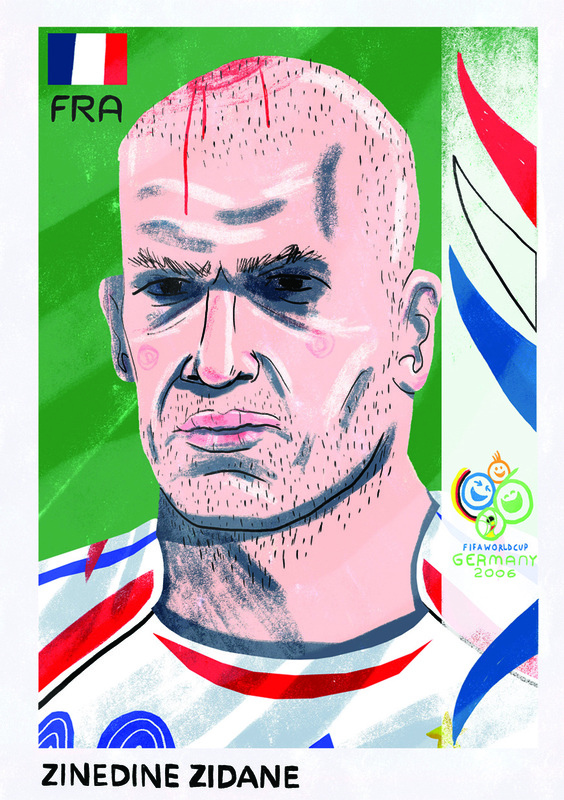 While many football-loving artists are preoccupied with showing only the glitz and the glamour of life on and off the pitch, capturing a player’s good side and playing up to their polished reputations, illustrator Daryl Rainbow is one who remains perfectly content to buck that trend at every opportunity. 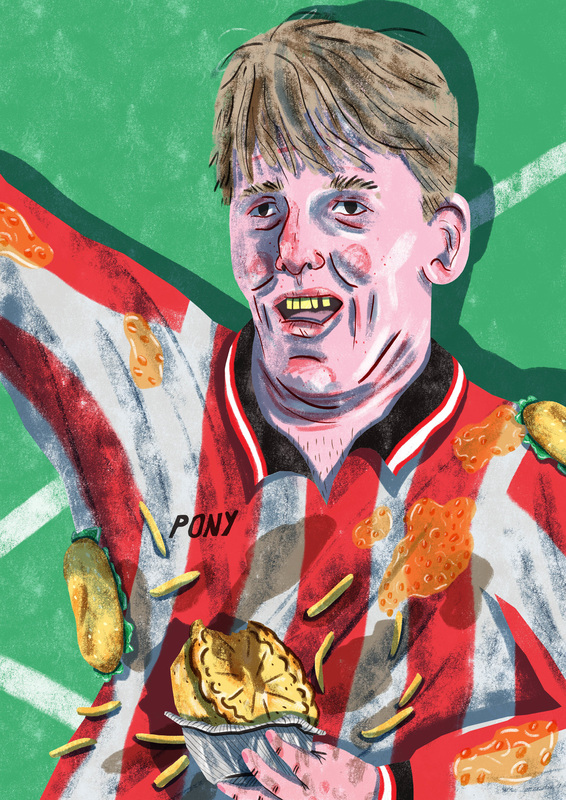 Far more aroused by the anarchy the sport often inspires, and the foibles of those at its centre, who find themselves inexplicably catapulted into stardom despite being wholly unprepared for such a role, Daryl’s work seeks not to represent the players as stars but remind us all that the stars are always only human. 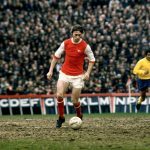 Daryl recently chatted to These Football Times to discuss the origins of his keenly recognisable art style, why he focuses on the facets of football so many of his contemporaries seek to shun, the players that most stand out from his childhood of falling in love with the game, and much more. What are your earliest memories of football and do you believe these memories inspired you to draw the game in the way you do today? “My earliest memories of football are of the great late-90s Arsenal team. I loved the rivalry between Arsenal and Manchester United; the fights between Vieira and Keane. I remember the intensity of those matches, being excited throughout the week waiting for the match on Saturday. As I child I remember being fascinated by those games, but at the same time having massive anxiety watching it. “I think what made me fall in love with the Premier League was the brilliant characters each team had back then, it was like Eastenders to me. Each club had so many great personalities; from the inspirational captains to the elegant flair players, to the bruising hard men. And they all had their flaws, which I think is why they were so interesting. They were well-rounded characters, with their own demons, rather than the sort of two-dimensional, slightly dull, perfect role model footballers you have in the Premier League now. In addition to being, at times, a little caricaturish, I hope you’d agree your style presents players in a way that is cruder and rather less polished than many illustrators seek to. Is this in any way a representation of your opinion on football – a case of you drawing players the way you view them – or is it more just the natural result of the subject matter colliding with your own style of drawing? 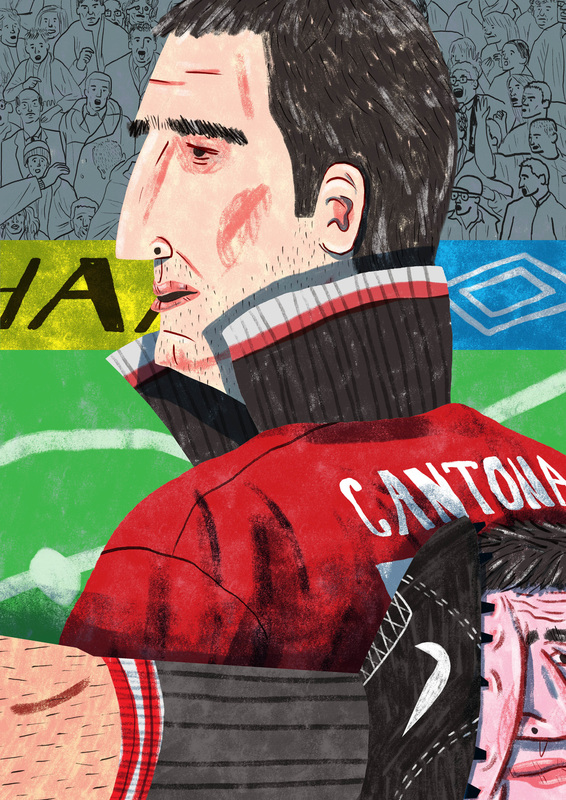 “I suppose with my work, outside of the football illustrations, I’ve always been interested in flawed characters and situations and I guess that also shows with my football illustration. The flawed characters always have more engaging personalities. Whether they be the hot-heads, cheaters, the prima donnas or the players suffering from addictions. Beyond the everyday actions of a football game, your drawings tend to take on a wider narrative quality and depict players performing actions for which they eventually became famous or, as is often the case, infamous off the pitch. Is this intentional and if so why? What makes those moments more memorable in your eyes? 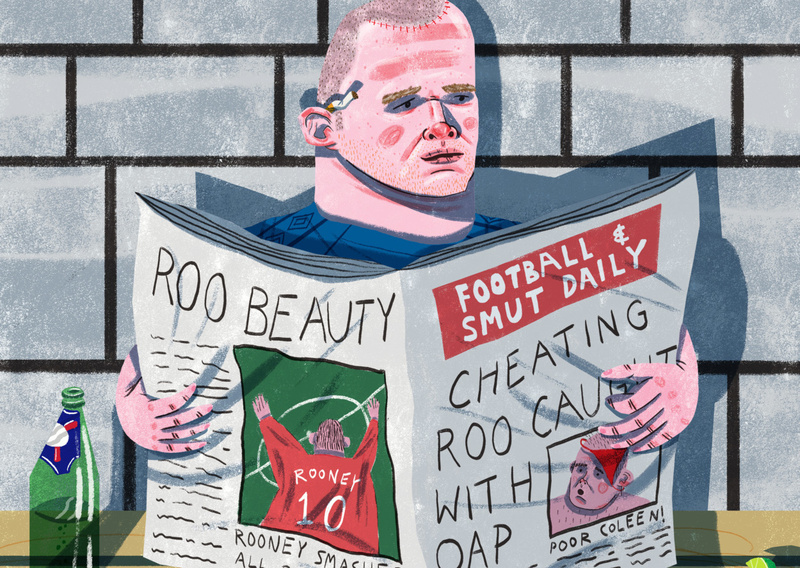 “Focusing on the slightly negative side of the footballers, I suppose, is intentional. I think those big controversies in the game – from Zidane’s headbutt to Rivaldo’s dive, to the addictions of the 90s Arsenal players – are just as important as a magnificent volley that wins a final. I think those controversies make people fall in love the game just as much if not more than the glorious moments. People remember and talk about those moments just as much. What do you usually look for in a subject or a scene to draw? 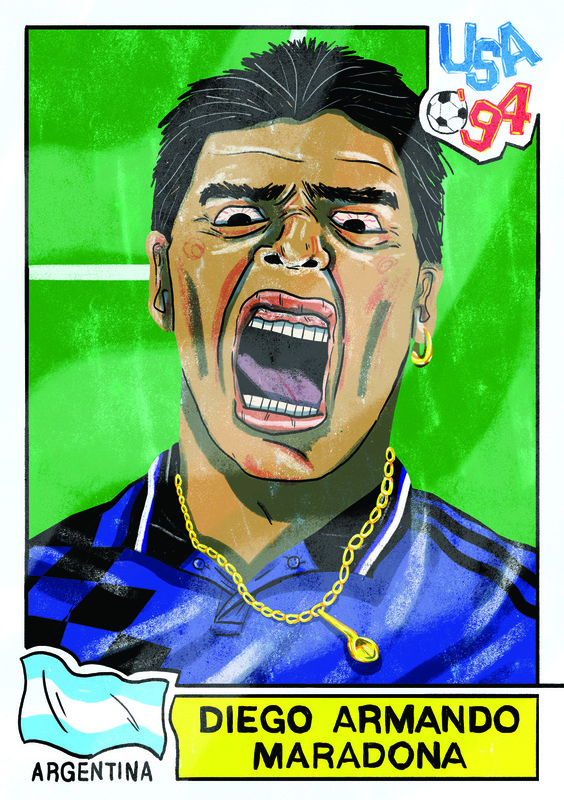 Furthermore, who is your favourite footballer to draw? 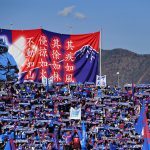 What are your ambitions for this season? What would be your dream commission? Thanks to Daryl Rainbow for speaking to These Football Times as part of The Gallery. If you’re an artist for whom football remains the ultimate muse, and you’d like to feature in The Gallery, please email us with examples of your work.